I wasn’t intending to post such a large review at this point – I wanted to watch the entire thing again and pay attention to the plot, but I’m impressed with both movies, and I’m going to go ahead and post a bit as well as a bunch of screen captures. 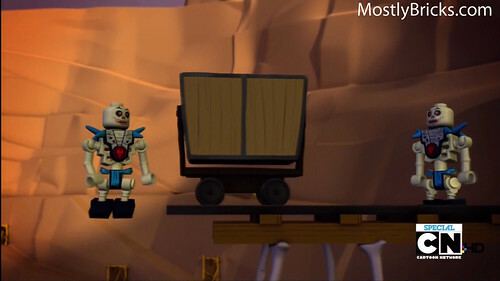 It was a little bizarre seeing skeletons driving around in motorcycles and four-wheel drive monster trucks, however from my limited experience of what I’ve seen in stores, they did an excellent rendering of the actual LEGO sets into animation for TV. I also saw a lot of vehicles and settings in the movies that I’d like to see turned into actual LEGO sets. If they make the ship you see in the second review, I’d buy it in a heartbeat. I’ll say up front that I’m not very familiar with Ninjago! 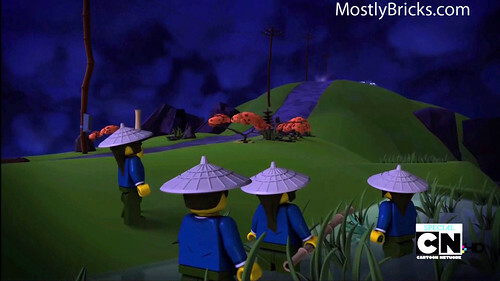 (or NinjaGo! 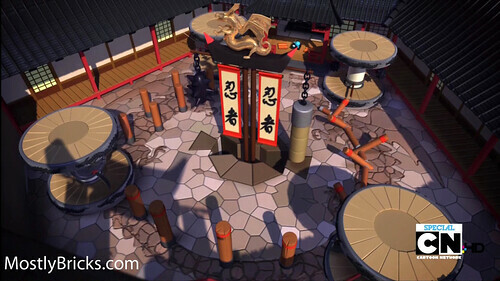 or Ninja Go! as I’ve seen it) and its universe. The screenshots I’ve posted below are going to be out of order – I was jumping around and just taking random screen captures to give you a sense of things I thought were interesting – potential future LEGO sets, etc. I’m trying to avoid giving the actual plot away since many people haven’t seen it yet. 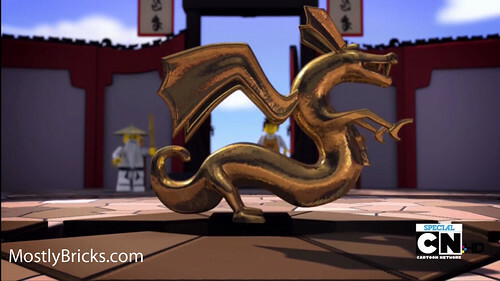 Screenshots from the second “movie” – Ninjago: Masters of Spinjitzu – King of Shadows, will be in a follow-up post. 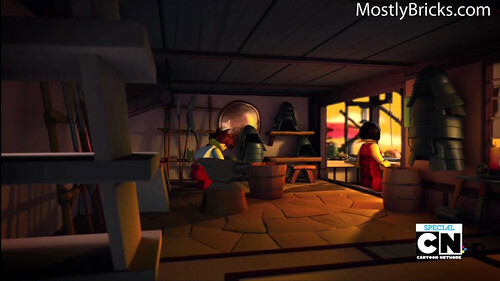 These are screenshots from the first episode “Way of the Ninja” but they are out of order. 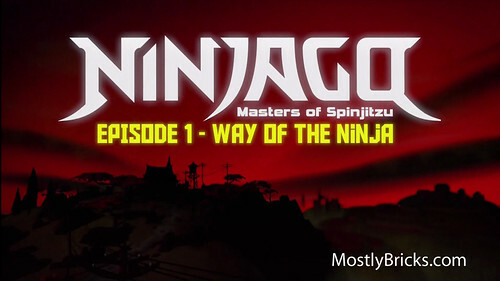 Even though I’m not familiar with the Ninjago line, I still enjoyed what I watched. It was very very well produced. 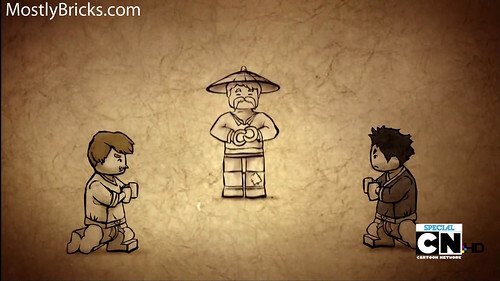 The animation, voice acting, sound effects, and music seem to have been upgraded over last year’s LEGO Atlantis movie. This year I do benefit from being able to see it in HD, and it looked great. I would love to be able to view last year’s Atlantis movie in HD. I’m not that into Ninjago! but I think if you were a fan of the sets and minifigs, you’d love the movies. 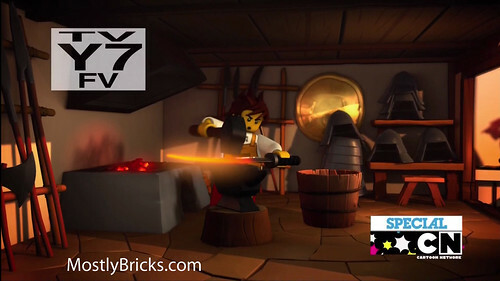 I have no idea how long these episodes take to produce, but I hope The LEGO Group produces more, and not just in the Ninjago universe. Just a quick note on the screen captures – there will be blurry areas – that’s due to motion of the characters. It looks great in HDTV. There were a lot of Cartoon Network logos popping up. If this comes out on DVD or Blu-ray, definitely worth picking up if the price is good just to avoid those. DO NOT VIEW THE IMAGES BELOW IF YOU WANT TO AVOID SPOILERS! Link to the second movie at the bottom. Somebody didn’t buy enough sets of tracks at the LEGO Store!